There are two types of video interviews — live interviews (using Skype, FaceTime, or LiveMessenger) and recorded Question-and-Answer interviews, also called “time-shifted” video interviews. In a recorded interview, the jobseeker is directed to a website to answer questions on video, using their computer’s webcam. Video interviews provide an apples-to-apples approach to assessing candidates. All applicants are asked the same questions, and the hiring manager can review and rate the responses. These interviews can be easily set up by the company’s HR staff and the recording forwarded to the hiring manager for selection for the next round of interviews. More common, however, are live video interviews. In 2012, Robert Half reported in a press release that a survey by OfficeTeam found that 63 percent of HR managers use video technology to conduct job interviews. This was a significant increase from 14 percent who conducted Skype interviews in 2011. ​You can practice a video interview on a computer with a webcam, using the Skype app, or using traditional camera equipment . Even though online interviews are being conducted by webcam, they are “real” live interviews, and you should be as prepared as if you were sitting across the desk from the interviewer. In fact, you may have to prepare more! After all, you do not have to clean your room before going off to an in-person job interview, but you do need to clear a space for your online interview. In a 2017 article about "How to prepare for a job interview", CNBC reminds us to be carefull about our vocabulary and warns us against our use of "filler words". Each job bord also offers its own advice about video interviews. Indeed provides the "Video Interview Guide: Tips for a Successful Interview" . Be mindful of where you set up for your video interview. Be sure the area is free of visual distractions (clutter). Carefully consider what is in the background of your AI interview. Make the background interesting, but not distracting. Plain white walls are fine, but boring. Can you frame a desk or bookshelves behind you instead? You may also have to download the software if it is the first time you are using the application. One of the best things you can do to prepare for a live video interview is practice. Practice filming a couple of interviews with friends or family members before your job interview. Check the lighting and your volume. As with a phone interview, recording your practice video interview can help you identify areas to work on, or fix. Have your test partner take a few videos. Be sure to account for any time zone differences before the interview. Review the guidelines for phone interviews, but also keep these “do’s” and “don’ts” in mind. Dress nicely — more than one jobseeker has scheduled a Skype interview, thinking it would be voice only — and then accidentally found himself or herself on a video call. Dress from head-to-toe. You may think you do not need to wear dress pants with the shirt and tie since the interviewer is only going to see the top half of your outfit. But you should always expect the unexpected. You never know when you might need to stand during an interview. Pajama pants, jeans, or shorts with a dress shirt, tie, and jacket just do not work. Keep your clothing color choice in mind. Check how the colors of your clothing appear on camera. Just like TV news anchors avoid some colors — and most small patterns, pick colors that will show up well on video. Jewel tones or pastel colors work best. Do not wear white or black. Practice your video interview wearing the exact outfit you are planning to wear. This trial run will also allow you to test the volume of your system, see how the software works (if you are not familiar with Skype), and make sure your lighting is appropriate. ​Lighting is important for video interviews. If the light source is behind you, you may appear as a dark silhouette on the screen. Position a lamp or other light source in front of you. Ensure that your profile photo is professional. This is your first impression from a physical standpoint in a video conference. Positioning is also important. Prop up the computer so that you are not looking down at it and practice where to sit so you are framed correctly by the webcam. Make sure your torso is visible — including your hands — especially if you “talk” with your hands. Look at the webcam when you speak, not at the interviewer’s face on your screen. When you look into the camera, it appears to the interviewer that you are looking at them directly. One “pro” tip is to use a USB-connected headset for an interview instead of using the computer’s speakers. Headsets are inexpensive and can provide a much clearer interview experience. If possible, use a wired Internet connection (plug directly into the Ethernet port) instead of using a wireless connection. If you are using a laptop for the online interview session, plug it in so you have plenty of “juice” (battery life) for the call. You do not want to have to dig for a cord to keep the computer from shutting down. Turn off notifications on your computer and close your other software programs. You do not want to be distracted by beeps every time you receive an email. Speaking of distractions, it is easy to tell on a video interview if you are not paying attention, so keep your focus on the interviewer. Dial up the enthusiasm! Someone who speaks with normal energy in a one-on-one conversation can come across as flat and monotone on a video interview. So it is important to be a little more enthusiastic in a virtual interview than in-person. Smiling is an important strategy for video interviews. Most of the time, when we are listening to someone else, we have a blank expression on our face. But on a video interview, a blank expression comes across as a frown. Keep a slight smile on your face: not a huge grin, just show a few teeth and raise your cheeks slightly. Practice this in a mirror ahead of time. Lean in. You have probably heard that “the camera adds 10 pounds.” The reason for this is that many people lean backwards in their chair, when they should be leaning forward. If you sit back and relax in your chair your head will be further away from the webcam than your stomach. Unfortunately, the camera latches on to whatever is closest…your gut! For women, pay careful attention to your hair and makeup in video interviews. Again, a practice interview session can help you assess this. You may even hire Interview Coaching services. Be mindful of your habits. Just like in a face-to-face interview, the interviewer will notice when you twirl your hair or chew your lip. You can take notes during an online interview, but do not take too many, or you will come off looking distracted. Take notes with a pen and paper, not on your computer. If you have an online portfolio, keep the link handy. You may want to share it with your interviewer. Choose a cutesy or unprofessional online name — no nicknames and minimize numbers and keyboard characters. Online, your first impression is your username and photo, so make sure both are professional. Your best bet is your first name and last name as your username. Forget to verify the timing of your interview — taking in account any time zone differences. Be too quick to answer. With video, there is sometimes a delay or interference, so make sure you pause before answering a question to avoid overtalking the interviewer. Forget to silence your cell phone when you are on a video interview. As with an in-person interview, be sure to inquire about what the next step will be. And write a handwritten thank you note or email as soon as you are off the call. Follow-up is key after a phone or video interview. Research indicates that employers are less likely to keep jobseekers up-to-date about their prospects with the company after a phone interview than with an in-person interview. I've been hiring people for 10 years, and I still swear by a simple rule: If someone doesn't send a "THANK-YOU EMAIL", don't hire them. Print out a hard copy of your résumé (make sure it is the same version the interviewer has), cover letter, and the job posting/job description. Prepare your list of questions you want to ask in the interview. Assemble your talking points and company research. Record a professional voicemail message on your phone. Have a glass of water nearby in case your throat gets too dry. If using a cell phone, have your phone charger and an outlet nearby. If using a laptop, make sure it is plugged in and is charging. Eliminate any distractions and put up a “Do Not Disturb” sign. Have your calendar or schedule handy in case you are asked to schedule your next interview. When you are looking for a job, you naturally want to find one quickly. If it has been a while since your last paycheck, you might be a bit on the desperate side. Even so, it is unwise to say yes to a job offer if you do not know the answer to the following five questions. 1. How stable is the company? Does it have a good track record? Reliable funding? A solid business plan? It is not necessarily bad to work for an organization that is just starting up, going out of business or dependent on irregular funding as long as you understand what you are getting into. A shaky start-up or struggling business might be just the place to hone your skills, but it could also mean you will be looking for another job in six months. You should understand the company's situation before you start so you can decide if it fits your plans. 2. What are my working conditions? Will you be part of a team or working primarily by yourself? How much autonomy will you have? Will you work at home or in an office, on the flexible schedule or 9 to 5? Remember, one day you will have to write about this job on your resume and identify your functions. Take a look at the job description. Are these responsibilities quantifiable? In other words, do you see the potential for any accomplishements that you can proudly write about on your resume and on your personal portfolio? 3. Am I aligned with the company's Mission Statement? Does the company culture match your value system? ​​If not, will the differences cause problems for you or for the organization? Do you foresee "career growth"? 4. Do I foresee any kind of "career growth" for myself here? How much career advancement is possible? Does the organization provide advanced training or support continuing education? Will you be able to use your newly acquired skills in future jobs? ​Some jobs do not provide much opportunity for advancement, but offer skills or experience you cannot easily get anywhere else. What about salary and benefits? 5. What about salary and benefits? Remember, you do not have to accept every offer you get. If the answers to these questions do not fit your needs, you might be better off continuing your search. Is it really "Time for a change"? ​The U.S. unemployment rate fell to a 50-year low in September 2018, making candidates more desirable than ever. Maybe you’ve been thinking it’s time for a change. You wouldn’t be alone. According to Ceridian’s 2018-19 Pulse of Talent report, 37 percent of respondents are looking for a new job — either actively pursuing new opportunities (20 percent) or casually seeking a new position (17 percent). Maybe you were passed over for a promotion, or are having trouble getting along with a new boss. The easy answer would be to just quit, but it’s probably not the right answer. When you see someone quit their job in dramatic fashion, that may look like fun (especially after a bad day at work), but there are many reasons why that’s not a good idea. An Addison Group 2019 Workplace Satisfaction Survey of 1,000 jobseekers found 79 percent of respondents say they are likely — or very likely — to look for a new job after a single bad day at work. One of the top reasons why that may not be the right choice is that “unemployment discrimination” is a real thing. Both research and anecdotal evidence have found it’s harder to find a job when you’re unemployed than if you’re job searching while you’ve got a job. “Creatively” demonstrating current employment can be anything from continuing to show the work experience as “To Present” on a résumé or LinkedIn profile even after leaving a job to listing a “consulting business” as interim employment. But when a hiring manager looks at your résumé — in particular, at your most recent positions — he or she likely won’t know if you’re not there because you were fired, laid off, or you quit. Quitting can negatively impact your chances of getting hired. And it’s not just about quitting your job — it can be about quitting your job too soon (or looking for another job too soon). The need to demonstrate current employment is particularly important if you haven’t been at your most recent job for very long. Furthermore, TalentWorks found that you are more hireable for your next job if you are at your current job for 18 months or longer. If you did quit your job, you had better be ready to answer the question in an interview about why you left your most recent position. That’s if you get the chance to interview at all. Recruiters and hiring managers are looking for reasons to narrow down the pool of candidates they will interview. It may be worth your while to address the reason for your departure in a cover letter accompanying the résumé, because leaving that question unanswered may result in your application being discarded in the initial screening process. Nearly a third of employees in the same survey said they would need to leave their current position to move forward in their career. All of these are “valid” reasons to pursue a job change, but they are not a reason to necessarily quit a job before lining up another one. When you’re employed and looking for a new position, not only will recruiters and hiring managers be more inclined to interview you, but you’ll also have more money to invest in your job search. Being unemployed can be expensive! The average job search is 13 weeks, according to the Bureau of Labor Statistics (BLS). Could you afford to go without a paycheck for that long? Networking takes time, as does applying for positions. You may have to wait a month for the application window to close, and candidates to interview to be selected. It can take 1-2 weeks after that to even get an interview scheduled, and the hiring decision may not be made for a couple days or weeks after that. Even if you’re available to start immediately, the company may require drug testing or have other pre-employment tasks that can lengthen the time before you actually start the job. On the other hand, conducting a confidential job search while you’re still employed gives you time to prepare the tools required to support your job search. Having a résumé or professional LinkedIn profile professionally prepared can take 2-3 weeks. 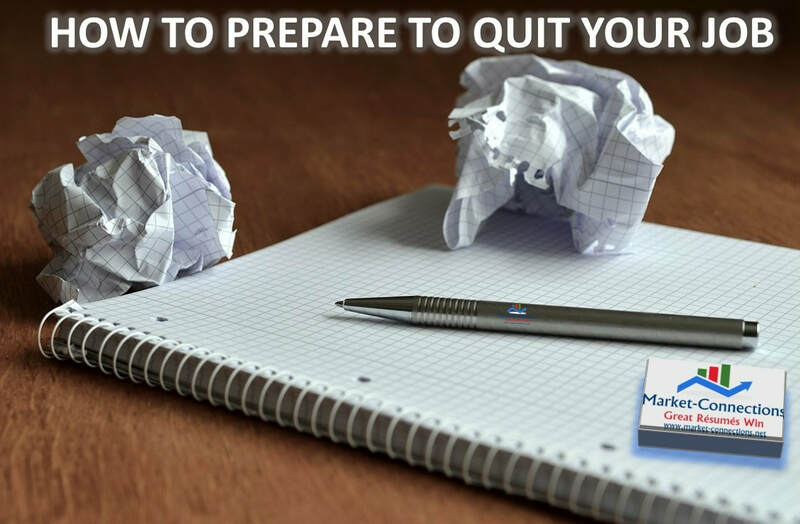 Instead of simply quitting, you can also prepare yourself for a career move. Rather than quit right now, you might stick it out for six months, using that time to get yourself ready for the next opportunity. For example, taking classes or pursuing a certification that will better prepare you for your next job, or starting a side hustle (that might grow into a full-time opportunity in time). Also, you want to make sure that you’re not running away from something as much as you are running towards something better. Spend some time thinking about what you do want to do next and why this particular job wasn’t a good fit. If you’re looking to change careers, lining up your next job before quitting is even more important. Switching careers itself is more difficult than finding a job in the same industry, and adding unemployment to that equation can make the job search process take even longer. If you quit your job, you likely will not be able to collect unemployment benefits. So even if you think you are going to get fired, it may be better to let that happen. If you are laid off or fired, you may also get severance pay or access to outplacement services. In general, you can only collect unemployment benefits after quitting if you have “good cause” — for example, due to an unsafe work environment, or if you weren’t being paid as promised, or if you were subject to harassment or discrimination. You can check with your state’s unemployment office before quitting to determine if you are eligible for unemployment benefits. It may also be wise to talk with an employment attorney to be sure. ​Now, there may be some valid reasons why you may need — or want to — quit your job immediately. ​The answer is probably yes, depending on where you work. In the United States, all states are formally recognized as “at-will” employment states, meaning the employee can be dismissed by an employer for any reason without “just cause” and without warning, as long as the reason is not illegal. Some states also place limitations on at-will employment, which is more for the employee’s protection in the event of being fired or laid off. Employees not covered by an employment contract are employed “at will,” meaning neither you nor the employer need to provide notice prior to ending the employment. If you have an employment agreement, read it carefully to find out how you need to turn in your resignation. Do you need to provide two weeks’ notice? Do you need to provide notice in writing? Make sure you are following the process outlined in the contract. It’s always a good idea to offer two weeks’ notice to your employer — if you can — even if they turn you down and have you leave immediately. Keep in mind if you quit without giving notice, you are likely burning a bridge with that employer that will lead to negative reference checks in the future. Take your belongings home ahead of time. If you quit, you may be asked to leave immediately, even if you offer two weeks’ notice. But do this slowly, so that it’s not apparent that you’re removing items. Make sure you collect any electronic items you need — for example, dates and names of trainings, copies of performance evaluations, sales records, etc. And clean off your computer — remove any personal information you wouldn’t want someone else to have access to after you’re no longer with the company. On a related note, create or update your LinkedIn profile. But do it slowly. You don’t want to go from a new profile to having 200 new connections in a week. And check your privacy settings so your network doesn’t get notified anytime you update the information on your profile. Review your company employee handbook and/or your employment agreement to determine what you’re entitled to if you leave the company. Can you cash out unused vacation time, or is it “use it or lose it”? If it’s “use it or lose it,” you may want to use some of your vacation time before you leave (and spend that time working on your job search)! Also look at stock options or retirement vesting schedules — you don’t want to quit a month before you’re entitled to these benefits. Cut your costs. Now is the time to start stockpiling an emergency fund. Look at your budget and see if there are expenses you can cut out. One advantage of quitting your job is that you will have more time to spend on the job search, especially time to interview and network. Looking for a new job has often been compared to taking on a part-time job because of the time and energy required. A job change may be in your (immediate) future. But don’t act without thinking or planning your next move — especially if you want to make a change in reaction to a bad day, being overlooked for a promotion, or because of a disagreement with a co-worker or manager. "Brought to you directly from LinkedIn"
“If you build it, they will come” may have been true for the Iowa corn farmer in the 1989 film “Field of Dreams,” but as a jobseeker, simply “building” a LinkedIn profile will not open the floodgates to job opportunities, nor will you have recruiters contacting you to solicit your interest in filling their open positions. Build a complete profile that is well-branded and keyword optimized (you may want to hire a professional to help you with this, if you haven’t already). Increase your visibility by optimizing your LinkedIn Settings and Career Interests. This guide will walk you through what to do, how to do it, and why. Show recruiters that you’re ready for new opportunities. LinkedIn will help by putting you in front of the recruiters who are looking. The first step is to locate the Settings & Privacy page in your profile; the following screenshot will show you how. Hover your mouse over the word Me and click the drop-down arrow below the thumbnail image of your profile picture. Scroll down to Settings & Privacy and click. This will open the Settings & Privacy window, with four headings across the top (Account, Privacy, Ads, and Communications). You’ll want to be sure you have the window open for Privacy. There are several categories of settings on this page, beginning with How others see your profile and network information. Scroll about two-thirds of the way down and you will find the heading for Job seeking preferences. Let’s start by looking at the various options available to you. Click on either the first heading or the word Change as listed on the right side (not showing in this picture). The first few settings address how your applications will be handled when you apply for a job via LinkedIn. You can save your application answers (I recommend turning this feature on), choose to apply for jobs with 1-Click Apply (to activate this feature, you must first scroll down to Contact information and enter a phone number), and input an email and address and phone number where recruiters can reach you. The next screenshot shows you each of these options. When you apply for an Easy Apply job on LinkedIn, you can save your application information and use the information as default for future job applications, allowing you to more quickly apply for jobs. You can also opt in to applying for jobs with 1-Click Apply based on this saved application information. Email address: You can choose from the email addresses you’ve already provided and verified. You can’t add a new email address with 1-Click Apply. Phone number: You’ll need to provide a new phone number to be included with your application. LinkedIn won’t use the phone number stored in Settings & Privacy. Phone numbers will be pre-populated, either via the first application or from the job application settings page. ​You can preview your application and change your answers before applying to any job. Scroll down further and you will have the option of uploading a resume. You can have as many as four different versions of your resume uploaded and saved in your profile. The next screenshot shows you how. Note: Resumes you have uploaded to your profile are not visible to other LinkedIn users. They are only stored in your account and available for you to attach to applications. To upload a new resume, click Upload under Default Resume in the Resume section. LinkedIn will only store the four most recently used resumes that were submitted on LinkedIn.com or the LinkedIn Mobile App. If there are four stored resumes, the Upload button won’t be available, and you’ll need to delete a recently used Resume to upload a new one. To replace your default resume for 1-Click Apply, click Replace Default under Default Resume in the Resume section. To remove your default Resume for 1-Click Apply, click the More icon (…) next to the resume name under Default Resume in the Resume section and select Remove Default from the dropdown. To delete a recently-used resume, click the More icon (…) next to the resume name under Recent Resumes in the Resume section and select Delete from the dropdown. Important: The ability to reuse recently uploaded resumes is currently only available on LinkedIn.com and the LinkedIn Mobile App. The feature is not currently available on the LinkedIn Job Search App. The file format must be Microsoft Word or PDF only. Once you have completed all your application settings, go back to the Privacy tab and click on the second set of options, as shown in the next screenshot. Your options are a simple Yes or No. Click either on the heading or the word Change and toggle the radio button to Yes. 2) They push newly-posted job opportunities to your inbox. Going back to your Privacy settings, click on the third heading under Job seeking preferences, as illustrated in the next screenshot. As with the previous section, your options are a simple Yes or No. Click either on the heading or the word Change and toggle the radio button to Yes. As a savvy jobseeker, you should have already created a list of companies you would like to target in your job search. (The recommended minimum number of companies to have on your list is 20). There is a document included at the end of this guide for creating this list and tracking your activity. In November 2018, LinkedIn rolled out a new feature that enables users to set up job alerts on a Company Page. Once you’ve set up a job alert, you’ll be notified of new jobs that match your skills through the Notifications tab. You can also share your interests with recruiters of companies you are targeting. Your details will only be shared with recruiters who want to contact members who have created job alerts specifically for their company. 1. Search for the company you’re interested in on the LinkedIn homepage. i.e. : The Coca-Cola Company. 2. On the Company Page, click the Jobs tab. 3. Click Create Job Alert to set up alerts for when the company posts jobs that match your skills. Once you create a job alert, you can also let recruiters know that you’ve created job alerts for their company by switching the toggle to On. To stop notifying your interests to recruiters, switch the toggle to Off. Your changes will be saved automatically. 4. You can view and manage the list of all companies that you’ve created job alerts for by clicking Manage Job Alerts on the Jobs page. You can also manage your job alerts from the At companies you’ve saved job alerts for section on the Jobs page. The following screenshots illustrate how to locate a company page and create a job alert. From the Home page of your profile, click in the Search box, scroll down to Content, and from the drop-down list, click on Companies. This will take you to the Companies search screen. Or you can just type a company name in the Search box. Type in the name of a company on your target list and click to go to the company page. The following screenshot is taken from IBM’s company page. On the left drop-down menu, click on Jobs and then click on the text box Create job alert. You’ll also want to toggle the radio button to On, as illustrated in the next screenshot. Going back to your Privacy settings, click on the fourth heading under Job seeking preferences, as illustrated in the next screenshot. To view and manage your stored job applicant accounts, go back to your Privacy settings and click on the fifth heading under Job seeking preferences, as illustrated in the next screenshot. By saving your application when applying to a company, you can reuse your uploaded resumes and other job application information for future applications to that company. Saved answers can only be used when applying via the Apply with LinkedIn on partner sites. You can delete the history of the account creation from LinkedIn under Settings & Privacy. Once a stored job applicant account is removed, LinkedIn won’t auto-populate or recognize that you have an account if you apply to a job within that third-party job applicant account in the future. To fully remove your information from the third-party job applicant account owner, you will need to contact the third party directly. Important: This information is only stored for third-party applications that require a created account. You can share your career goals — including the types of companies and roles you are most interested in — with recruiters on LinkedIn who may have opportunities that match your interests and background. Once you opt to share your career goals with recruiters, users of LinkedIn’s Recruiter product will be able to find you based on your shared career interests when they are searching for profiles. Note: You can share your career interests with recruiters for a period of six months (180 days), after which it will automatically be turned off. You will receive an email notifying you that you’re no longer sharing your career interests. However, you can continue sharing by manually changing the settings. From the Home screen of your profile, click on Jobs and then on Career Interests, as illustrated in the next screenshot. The next few screenshots illustrate the various settings. When you toggle On the setting to Let recruiters know you’re open, it will automatically turn off after 90 days. You will need to turn it back on if you are still searching. The Note to recruiters text box is where you can key in something specific about your search, such as your willingness to travel, that you are changing careers, or that you are in the market because of a company-wide downsizing. You are limited to 300 characters. In the next two text boxes, choose from the drop-down arrow options to specify your Status and your Start date. Below that, you can enter a number of job titles for which you’d like to be considered. Note: When you start typing, a job title that is in LinkedIn’s database will pop up and you can click on it to add it. If you try to add a title that is not in the database, an error message that reads Invalid input will appear. Next, you can indicate where you would like your next job to be located, if you are open to working remotely, and what types of jobs you are open to. In the final two settings you can let the recruiter know what industries you prefer and the size of the company you would like to work for. Note: As with job titles, you must choose from the list of 148 industries that are included in LinkedIn’s database. There is no limit to how many industries you can add. Refer to the Profile Industry Choices table that is included with this guide. LinkedIn’s artificial intelligence (AI) tracks when you are on LinkedIn and what you are doing. Company recruiters can actually “see” which candidates have taken an interest in their company — not only creating Job alerts, but also by who is following their company, what content they are viewing and sharing, and the number of connections they have within the company. The next screenshot of the IBM company page shows you where the links are found to follow a company and locate people who work there. You’ll also see a feed of the company’s recent posts. While on the company page, another area you may want to look at is found on the About page. The next screenshot is also taken from the IBM company page. By clicking on the About link to the left of the screen, the Overview will be revealed. If you scroll to the bottom of the page details, you will find a section labeled as Specialties (see the section encased in a red border in the screenshot). Having the right keywords throughout your LinkedIn profile will increase your chances of being found in a Recruiter search. When possible, work a company’s Specialties keywords into your profile, resume, and/or cover letter when applying to that company. Use this document to create a list of companies you are targeting in your search and place an “X” in each column once you have completed the task. Note: Some companies (particularly smaller companies) may not have a LinkedIn page. When you are logged in to a company page, click the relevant links to follow, create job alerts, and find profiles for people on LinkedIn who currently work at the company. Ways to engage with the company include reading (and possibly sharing) their updates. Almost 3% of the US Workforce works remotely from home at least half the time. That means almost 4M US employees. BETTER RESULTS: Research shows that telecommuting employees are generally happier about their job and 40%+ of remote employees produce better results than their commuting counterparts. HEALTHIER = CHEAPER: Telecommuting has proved to lower employers’ medical bills in the long run. Almost 40 Billions of miles have been saved annually from telecommuting which has employees’ stress significantly. Not to mention it contributes to a greener planet. IMPROVED HABITS: Research shows that when stress from driving to work is reduced, almost 75% of employees took better care of themselves starting with eating better at home and becoming healthier. REDUCED EXPENSES:Telecommuting reduces operational expenses starting from the cost of utilities to dollars per sq. ft. of space and everything else in between. My job search is not working! Now what? I can't find my "Dream Job". What's next? I can't find a job... What should I do? My job search is not working; now what? There are plenty of smart, successful people who struggle with finding jobs and/or a satisfying career. Why is this? Many times, they don’t know how to look for work. Most people have never been taught how to find a new job. So they do the things that they “think” they should do — applying for positions online, posting their résumé on job boards, and even creating a LinkedIn profile (even if they’re not sure what to do with it). But when they don’t get the results they want, they get stuck. With no immediate results, it’s easy to get frustrated. Many times, they won’t hear anything back at all from their applications, so they’re not sure how to move forward. Do I have the skills, experience, and/or qualifications necessary for the jobs I’m pursuing (if I’m being really honest with myself)? Have I conducted informational interviews to really understand the needs of employers for the types of jobs I’m pursuing — and to make new connections? Does finding another job in this field require something that I haven’t done yet? For example, a move? Taking a lateral position (maybe even with a pay cut) because it will mean developing a new skill set that offers more room for growth? A change in focus? Have I asked someone I know/like/trust for their honest feedback about how I’m presenting myself in my job search? Have I asked for feedback from hiring managers after interviews for jobs that I haven’t been offered? Am I really doing the “work” of conducting a job search, or am I just doing things that are “easy” or “comfortable” for me? Clearly defined goals — and the ability to research how to accomplish those goals. This includes identifying companies you’re interested in working for, potential job titles, contact information for people in the position to hire you (or connect you to the hiring manager), and knowledge of the company. The willingness to invest time, energy, and money in their job search. This includes a strong résumé and other career communication documents, the right interview attire, career assessments, coaching to improve skills necessary for success in the job search (i.e., interview preparation, salary negotiation), etc. The ability to document and to quantify accomplishments and achievements in their education, work experience, and/or volunteer work. If your job search isn’t working, it’s time to do something different. Treat your job search as a project, with defined objectives, an action plan, and a timeline. Ask someone you trust (a spouse, friend, another jobseeker, or a career coach or counselor) to be your accountability partner — someone who will support, encourage, and motivate you in your job search. The first step is to figure out where you’re stuck. There are several areas where you might be having difficulty. If you are having trouble in more than one area, start with first reason and “fix” that before you move on to the next area. Stop and Engage in Self-Examination. A successful job search requires that you identify and articulate your “career vision” — the type of work environment, location and lifestyle, and job you want — so that when you look for potential job opportunities, you can see if it will be a good fit, based on your identified values. Author Lewis Carroll wrote, “If you don’t know where you are going, any road will get you there.” The same is true in your job search. People who say, “I just want a job, any job” will actually have a harder time finding a job than someone who knows what they want! Have you clearly defined what kind of job you want? (Use the “Your Ideal Job” worksheet included in this guide to clarify what your dream job looks like.) You don’t have to limit your search to this company profile, but defining what kind of environment is most attractive to you is a good place to start. 1. What am I good at? 2. What am I not so good at? 3. What do I like doing? 4. What skills do I need to update in order to stay current? 5. Solve a specific problem. 7. Build relationship / an image. Think about how you’re able to help an employer meet these “employer buying motivators.” Once you’re able to define who you are and who you want to work for, then move on to the next step. A professionally written résumé is ideally suited for one particular job target. This may be a specific job title (“administrative assistant”) or several jobs that are similarly suited — for example, senior accountant/finance manager/chief financial officer. If you’re not getting calls for interviews, your résumé may be the issue. If your résumé was professionally written, have you changed the wording from the original version? Did you change anything on the recommendation of a friend or colleague? Did you “water down” the language by adding or removing information? Did you give the résumé writer the strongest examples of your accomplishments — and quantify them with numbers, percentages, and dollars (whenever possible)? If you wrote the résumé yourself — or had a friend or relative write it — consider having it reviewed by a professional résumé writer who can give you objective advice about whether it meets today’s standards for an interview-ready résumé. The process of having your résumé written by a professional résumé writer can be eye-opening. Most résumé writers will work with you to identify your “personal brand” (what makes you unique as a jobseeker) and collect strong accomplishments that will help define how you can be an asset to your next employer as part of the résumé development process. How are you using the résumé? Are you getting it in the hands of a hiring decision-maker for the type of job you want? Are you spending enough time on your job search? If you’re not working, commit yourself to a minimum of 40 hours per week devoted to your job search. If you are working, devote at least 20 hours each week to finding a new job. Work smarter, not harder. If you’re applying for 20 jobs online, you may think that you need to apply for 40 jobs. Instead, re-examine how you’re finding out about and applying for positions. That leads to the next area where you may be stuck. Once you have your résumé and cover letter, the next step is to get them in the hands of a decision-maker who has the authority to interview you — and, hopefully, offer you the job (or at least advance your job search). There are five major ways to search for a job. This is where most jobseekers spend their time, but most people won’t find their dream job by applying for posted positions. Research suggests that only 2-4% of jobseekers land a job using Internet job boards. Most large companies receive between 200 and 10,000 résumés a month — the majority of these come from online applications for jobs they’ve posted. There are many places where jobs are posted online. These can include the hiring company’s website or LinkedIn Company Page, niche websites (like www.Dice.com for information technology jobs, or www.JobsInLogistics.com), aggregator sites (such as www.Monster.com, www.CareerBuilder.com, or www.Indeed.com), social media (some companies will post job openings on Facebook, Twitter, or Instagram), or even www.Craigslist.com. The aggregator sites — also known as the “big boards” — aren’t as effective as they used to be. Listing fees have increased while success rates have declined. However, you shouldn’t discount them entirely. If you see a job posting on a big board, go directly to the employer’s web site and see if the position is listed there as well. By applying through the company’s web site, you’ll not only get the chance to research the company, you might be able to identify a hiring decision-maker directly. And if you are able to find the hiring manager’s name, follow up your online application with a résumé and cover letter by mail. But remember, once a position is advertised, the competition for it can be overwhelming. Most jobs posted in newspapers are for lower salary positions (under $30,000/year) but that is not always the case, so it can be worth your while to spend some of your time finding and applying for jobs you see advertised in print publications. You may find jobs advertised in your local newspaper or in a trade journal for your industry. Newspaper advertising is expensive for employers, though, so you’ll find a lot of companies with openings aren’t advertising them in the newspaper. However, the newspaper can be a useful tool in identifying job “leads” — companies that hire people to do the kind of job you want. You may find you get more mileage by reading the newspaper or trade journal to find companies that are expanding and growing. You’ll also find these kinds of companies profiled in the Business section of the newspaper, in magazines like Inc., Forbes, and Fortune, and in local business journals. (Locate local business journals here: http://www.bizjournals.com/). For certain kinds of jobs, companies pay third parties (recruiters or employment agencies) to screen and recommend potential employees. Positions paying under $30,000 a year (usually administrative jobs) — these are usually filled by employment agencies on a temp or temp-to-hire basis. Specialized positions where a closely-defined skill set is desired (for example, information technology jobs). Managers and executives making in excess of $75,000. These jobs are not usually advertised. In exchange for finding candidates, screening them, and recommending the “best fits,” an employer will pay a fee that is usually equal to one-third of the employee’s base salary for the first year to the recruiter or employer, upon a successful hire. The most important thing to recognize about working with recruiters is that they work for the hiring company, not for you. They only get paid if they make a successful placement. Because you’re not paying for the service, sending a résumé to one of these companies is a good idea, but it won’t always result in success — or even a return phone call. You can find recruiters in the phone book (under “Employment Agencies”) or online. Use Google to search: Recruiter and [city name] and [job title]. Or look in the newspaper classifieds or your industry trade journal for recruiting firms advertising for candidates in your skill area. You can also connect with recruiters or employment agencies at job boards or through LinkedIn. Remember, the employer pays the recruiter fee, so you should never be asked to pay a fee to work with a real recruiter. Don’t be fooled by people claiming to be recruiters who ask you to pay hundreds or thousands of dollars to work with them. It’s fine to work with multiple recruiters. The more recruiter contacts you have, the larger your network, and the greater the number of opportunities that will present themselves. Recruiter relationships are generally not exclusive. Start with 2-3 and expand your contacts if you’re not getting results. But be honest if you’re asked who else you are working with. There are also variations of the employment agency you may come across. For example, if you are employed in a union trade, your union hall may function as an employment agency, offering connections to union jobs. And if you are between jobs and want to be hired as a day laborer, there are certain employment agencies that specialize in extremely short-term positions (usually one day, or a few days at a time). And, don’t discount the resources offered by CareerOneStop (http://www.careeronestop.org/) or American Job Center (http://jobcenter.usa.gov/). Local or state employment agencies can also help connect you to employers in your area. Networking remains one of the best job search strategies you can use to find your next job — or your dream job — but it’s probably the least understood method. Many jobseekers think networking means alerting the people you know that you want a new job. But it’s more than that. Your network is most valuable when you can ask for help in identifying job leads, obtaining information, getting advice, and/or making referrals. For example, if you want to work at a specific company, ask people in your network if they know anyone who currently works for — or used to work for — “Company X.” Then, ask for an introduction to that person, and ask them about the company, culture, and hiring practices. It’s important to actively develop and cultivate your network. This can include: friends, relatives, parents of children’s friends, parents of your friends, relatives of your friends, club members, cousins, neighbors, your doctor, financial advisor, attorney, current and previous co-workers and managers, suppliers, professional association contacts, clients, and community contacts (civic leaders, clergy, etc.). 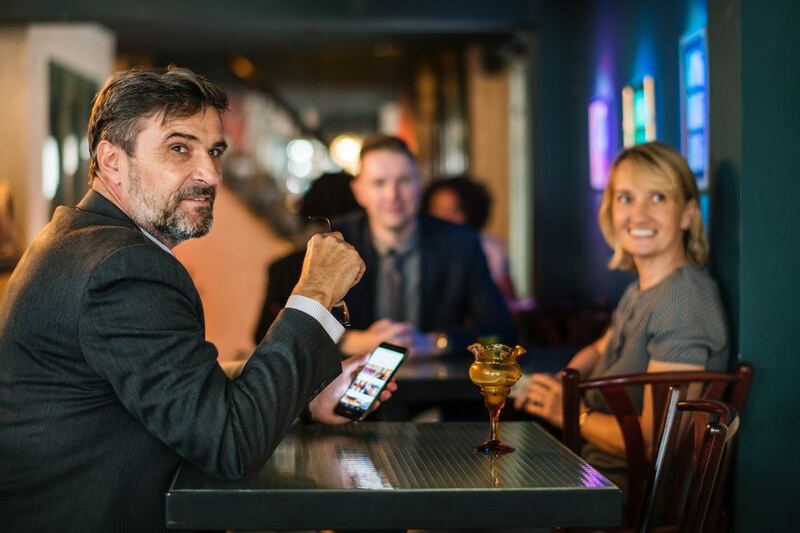 Attend networking events (for example, those hosted by your professional organization, Chamber of Commerce, tip groups, NetworkAfterWork, etc.). You can also network while you’re attending sports, school, or cultural events. Work as a volunteer. For example, serve on the Membership Committee of your industry association. Getting involved in any charitable organization can be beneficial. Participate in online communities. This can be a social networking site — like LinkedIn or Facebook — or an alumni site or your trade association’s website (which might have a message board or email list to connect members). Be a giver — your willingness to help others will raise your professional profile and make others more willing to help you in return. Contact your alumni groups. Your college or university should have an alumni association (often with a directory of members) that can be useful. You can mine the directory for contacts in your field, even if they didn’t graduate in the same year as you. Your common interest in cheering for “The Bears” connects you! And look for connections on LinkedIn. Many universities maintain alumni-only Groups on LinkedIn. Join your professional association — but don’t just send in your dues…get involved! As mentioned before, the Membership Committee is often looking for help, but the Program Committee (that plans the continuing education events and networking programs) or the Finance Committee (the one that helps line up sponsors — i.e., influential employers in the industry) can also be good choices. Your colleagues can be a tremendous resource. Contact them and ask for their help with identifying contact names and numbers, generating ideas about where your skills might be most valuable, and learning more about company culture. Be sure to ask if you can use their name to “get in the door” with their contacts. The single biggest mistake most jobseekers make is not asking for help from their network. People want to help you — so let them! Online. Research trends and companies online. Identify key problems from executive speeches, reports, or profiles — or read their news releases on their website. A good source of information is Vault.com (www.vault.com). You can also identify potential employers using the online Yellow Pages. Are you a teacher? Every school in the area will be listed. The same is true if you want to work for a plumbing company, law firm, counseling office, veterinarian, or financial services firm. You can also make connections with hiring managers through LinkedIn. It’s estimated that anywhere from 30 to 75 percent of jobs are not advertised. How are these positions being filled? Through networking and direct contact. How do you make direct contact? Call, use your network for an introduction, send an email, or write a targeted cover letter and send it with your résumé. You can also use résumé distribution services — like ResumeSpider or ResumeRabbit — to send unsolicited résumés to targeted contacts. But the real key to success is following up. When using direct contact, persistence is the key! Do your homework about companies you are interested in. Always research the company. The basic information you need is: Who to direct your résumé to within the company and whether the company has jobs (or job possibilities) that match your area of interest, education, and/or expertise. You can’t just send a general letter to “HR” or one addressed to “President, ABC Company.” You have to send it to a person. The best people to contact are managers and executives. Every unsolicited résumé you send should be accompanied by a personalized, targeted cover letter. You are simply “spamming” potential employers when you mass mail 10, 20, or 100 résumés without researching them individually and customizing a cover letter. Even if you have the most creative résumé, without supporting documentation, you’re probably wasting your time. Instead, take the time to develop a customized cover letter listing how your specific skills and attributes can be an asset to the company. Next, be prepared for your job search. Make sure you keep a record of the résumés you’ve sent, using a follow-up log. When you send out a résumé, mention what your next step is — for example, “I will be contacting you within the week.” Make a note in your calendar and then follow up as promised. When you’re “spamming” employers, you lose the ability to closely follow up on the résumés you’ve sent. Ten résumés and cover letters that you follow up on are better than 100 résumés with no follow-up. Follow up on letters by making a phone call. If you call and don’t get a response, send an email. Leverage your network to get personal introductions. Your efforts will yield interviews. You can dramatically increase your chances of being interviewed and receiving a job offer by following up with both your network and the person with the power to hire you in an effort to positively influence the selection process. In your job search, you shouldn’t rule out any job search tactic — just consider how effective it is, and spend more of your time on high-impact tactics like networking and direct contact. Getting Interviews, But Not Job Offers? Getting interviews, but no job offers? ​If you’re getting interviews, your résumé is doing its job — assuming you’re getting interviews for the types of jobs you want. But what you do before, during, and after the interview can increase your chances of getting the offer. Before the interview, do your homework! Review the company’s website and learn more about the key personnel, the work they do, their clients, and potential areas where you might be an asset. Google the company. Look for recent news articles about the company. Review the company’s social media profiles (if they exist). Check out the company on Glassdoor.com (www.glassdoor.com) and see what current and former employees have to say. Ask your network for help learning more about the targeted company. If you know your interviewer’s name, Google that too. Check out his or her LinkedIn profile and social media accounts. And prepare a list of targeted questions to ask in the interview — 3-5 questions that demonstrate you’ve done your homework and that, when answered, will give you additional insight into the company. In the interview, listen carefully. Your interviewer is assessing your fit with the company, but you are doing the same. You want to make sure that this job is right for you, too! (Remember, we’re looking for the “right job” not just “any job.”) Practice your interview skills too! Be prepared to give a “closing statement.” If you’re given the opportunity in the interview, be ready to summarize (in 90 seconds or less) why you think you’d be a good fit for the position. If possible, incorporate in the additional information you’ve learned in the interview itself! Prepare the key points of this closing statement in advance, but practice it until it sounds natural, not canned or rehearsed. And before the interview ends, ask if the interviewer needs anything else from you to help with the decision — a list of references, work samples, a 30-60-90 day plan for what you’d do in the first three months on the job, etc. And don’t forget that it’s okay to specifically express your interest in working for the company! At the end of the interview, ask what the next step is. You want to know if there is another round of interviews, and when it will begin, or when the hiring decision will be made. Ask if it’s okay to follow-up — and if they’d prefer phone or email? Immediately after the interview, send a follow-up/thank you note. Handwritten notes are always appreciated, especially if you can mail it the same day (and the hiring timeline allows sufficient time for it to be sent and received). Otherwise, an email follow-up is fine. Express your appreciation for the opportunity to meet, reiterate your specific interest in the job and the company, and confirm the “next step” — whether that’s information you’ve promised to provide, or what you’re expecting from the interviewer. If you don’t end up getting another interview — or the job offer — try to follow-up with the interviewer to get feedback — specifically, why another candidate was a better fit. You may not be able to obtain this information (busy hiring managers may not take the time to respond), but if you can get this type of feedback, it can be helpful in your overall job search. If you can’t reach the hiring manager, watch who is ultimately hired, and assess that person’s professional profile and see if there was something that might indicate a key qualification (perhaps a certification, or a past employer) that might have set them apart. Sometimes you just won’t be able to tell, however, and you must simply move forward to the next opportunity. Get in the habit of rewarding yourself for effort, regardless of your results. If you put in the effort, eventually the results will follow. Branding? Positioning? What IS all that? ​The terms “branding yourself” has already become a part of many people’s vocabulary, while others are still wondering about its definition. While “branding” (which is defined as “to make an indelible mark or impression on somebody or something”) is a valuable strategy, you may be more comfortable with the idea of simply positioning yourself to be successful in your job search and career. Many jobseekers don’t realize they have already positioned themselves — they just haven’t articulated it yet. Maybe you’re known as “the sales manager that makes quota, no matter what’s going on in the economy,” or “the engineer that can speak in language the customer understands.” That’s your positioning. 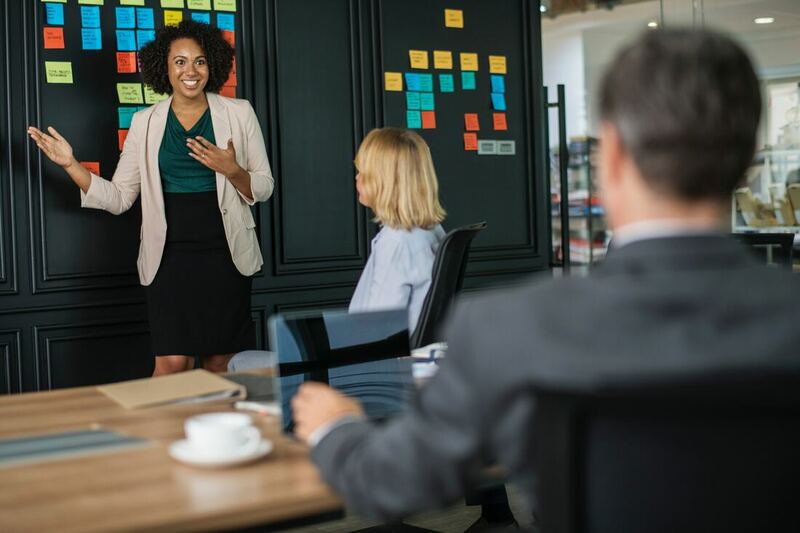 To cultivate the positioning that will help you reach your career goals, you must understand and be able to communicate what makes you exceptional and compelling. You must find a way to stand out in a crowded job search. If you’re not known for something, you won’t be known for anything. One size does not fit all. ​Knowing your skills and professional qualifications — and being able to articulate them — will also help you navigate applicant tracking systems (ATS). Position yourself effectively to attract connections, opportunities, and job offers. What is the Company’s Need? What specific problem are they trying to solve with this job? Are they trying to make money? Save money? Save time? Keep existing customers? Acquire new customers? What are your Core Abilities? What special abilities do you possess that separate you from other candidates for this position? What are your Values? What is your belief system (behavior and ethics) that is inherent to you? Does this set you apart? What is your Connection to the Company’s Need? Do you possess something special that solves your target employer’s problem? Be aware of the kind of work you are willing to do, and the kind of work you don’t want to do. Make a list of the things you like to do, and what you don’t like to do. Look to your work history for clues to your positioning. What in your work history did you do to make things better? Look for instances where you showed leadership and accomplishments. Check out your existing online profile. What comes up when you Google yourself? What is your social media presence? What are you known for online? Begin with the end in mind: What job do you want? Then figure out what qualities and attributes set you apart from your competition. Ask people you know (and people you work with) for feedback. How do others see you? This website was created for the U.S. Department of Labor/Employment and Training Administration by the National Center for O*NET Development. The O*NET program is “the nation’s primary source of occupational information,” according to the site. It contains information on hundreds of occupations and is available to jobseekers at no cost. Every occupation requires unique knowledge, skills, and abilities. These occupational characteristics are outlined on the site. The occupational descriptions, which include descriptions of day-to-day work, along with qualifications and interests of the typical worker, allow jobseekers to identify unique positioning opportunities for themselves in their job search. You can also access the O*NET Resource Center, a free tool (available for immediate download) to assess your occupational interests. The tool offers personalized career suggestions based on your interests and level of work experience. You can start your research on an O*NET affiliated site, My Next Move. The site is an interactive tool for jobseekers to learn more about career options. It includes descriptions, skills, and salary information for more than 900 professions. You can identify careers through keyword search, by browsing industry classification, or through the O*NET Interest Profiler. My Next Move is maintained by the National Center for O*NET Development under the sponsorship of the U.S. Department of Labor/Employment and Training Administration. ​When you identify a profession, you can assess the knowledge, skills, and abilities required for success in the role. These can often provide guidance for positioning yourself. The “Personality” and “Technology” sections also give insight into your personal positioning. The “On the Job, You Would” information includes common job functions. Look to see if these are areas where you excel — this can be a point of differentiation. Also check out the “Also Called” information under the occupation for related job titles you can use in your personal positioning tagline. This website is affiliated with the U.S. Department of Labor’s CareerOneStop program. The website includes occupation and industry information, salary data, career videos, education resources, self-assessment tools, and career exploration assistance. The Occupational Outlook Handbook (OOH) provides information on what workers do, working conditions, what qualifications are required for success in the position, pay, job outlook, similar occupations, and sources of additional information for research for more than 300 occupational profiles. To find an occupation, browse the occupational group of interest on the left-hand side of the website, or use the “A-Z Index” (if you know the specific occupation). You can also enter a job title into the “Search Handbook” box at the top of the site. You can also search for occupations by pay range, education level, training, projected number of new jobs, and projected job growth rate — using the “Occupation Finder” or occupation selector drop-down menus on the home page. If you can’t find an occupation you are interested in, look in the alphabetical index, using similar occupational titles to search for an occupation. You can also research your prospective employer to identify how to effectively position yourself to work at that specific company. Glassdoor is an excellent way to assess what is important to the employer and how you might fit in. Do make sure your positioning reflects your personality. Do incorporate in keywords (nouns, industry-specific terminology, and skills) into your personal positioning. Do be authentic. Make sure your personal positioning reflects your personal values, qualifications, and attributes. Don’t go on and on. Don’t tell your whole life story. Get to the point quickly. Don’t be too general. One of the biggest mistakes with your personal position is not being specific enough. The more specific you are, the more effective your personal positioning will be. Don’t be boring. You need to get the reader’s attention! Be interesting. Recruiters and hiring managers need help knowing what kind of position you’re focused on. It’s harder to find a job when you don’t know what kind of job you want. Conversely, it is easier to find a job if you know what kind of job you want. There are fewer opportunities for average performers to be found in the hiring process, but there are tremendous opportunities for stars. Positioning helps you identify where you can be a star performer and then make the case (through your work and your career communication documents) to support this claim. The next step is to align your job search with your positioning. Make sure your résumé and interview preparation supports this and makes your case. Many jobseekers develop their personal positioning when they are looking for a new job. But personal positioning can help you be more effective — and visible — in your current job. Offer to do a presentation showing your (or your group’s) accomplishments for the quarter. Contact your company’s communications department to see if they are interested in doing an article for the company newsletter on a recent project. Make sure you are keeping an “Accomplishments Journal” documenting your current career successes. Develop your own communications plan in your current position. Increase your personal visibility by speaking, writing, and participating in social media. Once you’ve identified your personal positioning, see how you can incorporate it into your everyday work life. This will make you worth more to your current employer (remember, superstars stand out!) and make you more attractive as a job candidate when it is time for you to look for a new position. A new year is a great time to assess where you’re at professionally. Is it time for you to make a job change? Or a career change? This 21-day challenge is designed to help! 3. What Sets You Apart? Take action each day in one of these areas (see the list below for ideas). This challenge will reward effort, not results. But results will come when you take consistent action, day after day, in meeting your goal! For best results, enlist an accountability partner to help you complete the challenge. Ideally, it will be someone who is looking to make a job or career change too, so you can keep each other accountable and on track. For best results, check in with each other daily. You can choose to use either the Challenge Calendar or the Challenge Planner to plan and track each day’s activities. Write down the activity you will do and put a big red “X” on each day you complete a challenge activity. At the end of the month, you want as many spaces marked off as possible on your Calendar or Planner. At the end of each week during the challenge, reward yourself for good performance. Enjoy a special outing or anything else that will encourage you to keep going! Here are suggested actions within each of the areas. Find the most recent version of your résumé and/or cover letter and locate the most recent copy of your job description. Google yourself. What comes up when you put your name in Google? Evaluate your social media presence. Brainstorm a list of everything you need to add to your résumé: recent work experience and accomplishments, education, training, certifications or licenses, etc. Identify and review your most recent performance evaluation or annual review. What were you commended for? Pull together information for your Professional Portfolio — a copy of your college or university transcript and certificates/diplomas, work samples, copies of awards or honors, testimonials about your work from supervisors and/or customers, etc. Review your social media profiles. Do they position you in the best light as a jobseeker? If not, scrub negative information. Delete any profiles you’re no longer using. Take some time to consider whether you want to pursue a new job or a new career. Create a “pro/con” list for each. Discover what you do best by taking a skills assessment, like the Clifton StrengthsFinder or DISC profile. Why do you want to make a change? Take 15 minutes and sit down and make a list of the things you do and do not like about your current job/career. Brainstorm what are the 10 most likely job titles for the position you want. Research and identify three job postings for the type of position you’d like (even if these aren’t actually job postings you actually end up applying for). Spend some time thinking about your dream job. Make a list of the types of things you’d be doing each day if you were working your dream job. Think about what you would want your next job to do for you that your current job doesn’t. In other words, make a list of what will be different about your next job. Assess whether you have the skills, experience, and/or qualifications necessary for the job or career you want to pursue. Don’t just look for a job — look for a calling. Spend 15 minutes answering these three questions: What are you meant to do? How can you use your skills, education, and experience for maximum benefit? What kinds of problems could you solve for a company? Take a personality assessment (like the ​Holland Self-Directed Search, the Keirsey Temperament Sorter, or the Myers-Briggs Type Indicator) to figure out what type of work you’re best suited for. What value would you bring to your next employer? Can you help the company make money? Save money or save time? Make work easier, or solve a specific problem? Expand their business and attract or retain customers? Identify what you can do in each of these areas. Make a list of new skills and education you’ve achieved. Have you attended any conferences? Achieved a certification? Also consider non-traditional education/training. Assemble a list of online courses, boot camps, and tutorials you’ve completed that are relevant to your job/career target. Write up a list of the honors and/or awards you’ve received. Write down your biggest professional accomplishment of the past year. Be prepared to answer questions about gaps in your employment, skills you don’t have that are necessary for the job/career you want, and why you left a job. Take some time to think through how you’d answer questions about these issues. Take a few minutes to organize your job search. Create a weekly list of activities you’ll engage in. Identify the skills, training, and/or education you need for success in your next job or career. Research how to obtain one of these. Take a skills test or skills interest inventory to assess your strengths and skills. Research your target job salary. Reach out to someone who works for the company you want to work for, or in the industry you want to work for. Ask them if they will meet you for lunch or dinner. Think about how you got your last job. Spend a few minutes identifying how you got your most recent job. (For example, were you networking at a professional association meeting?) Is that something you can try again? Identify the tools you will need for your job search. Make a list of things you need, or need to update, like your résumé and LinkedIn profile. Find an accountability partner. Who can you work with to support you during your job search? Maybe it’s enlisting your spouse, or a friend. Or maybe it’s hiring a career coach. Line that person up. Make a list of 10 companies you’d like to work for, whether or not they are actively advertising relevant openings right now. Brainstorm a list of people to reach out to that can provide ideas, information, and leads for your job search. If you have a Christmas card list, start there. Research one of the companies that you’re interested in. Look at their website. Do a Google search on them. Look at what current and former employees have to say about them on sites like Glassdoor. Go through your network and contact anyone you know (or a friend-of-a-friend) who works for each of the companies you your target company list. Reach out to one person in your network and let them know you are looking for a new opportunity. Identify a hiring manager at one of your target companies, and see if you can find someone in your network who knows him or her and can make an introduction to that person. Join a professional association and examine how you can get more involved. Update your résumé. Reach out to enlist the help of a professional résumé writer if needed. Create (or update) your LinkedIn profile. Make sure your résumé and LinkedIn profile are in alignment in terms of focus and content. Brainstorm a list of 25 keywords that you should include on your résumé to help it get through the applicant tracking system (ATS) software. Research recruiters who work in your target industry and send 3-5 of them a LinkedIn connection request. Apply for an advertised opening for a job you’re interested in. At the end of the 21 days, review your progress. Do you have any leads on unadvertised openings? Any interviews or job offers yet? If not, don’t worry. The majority of this 21-day challenge is focused on preparing yourself for the job search, not conducting the job search. Even if you’re not yet in your new job, celebrate your completion of the 21-day challenge! By sticking with the challenge, you’ve set yourself up for success in the new year. Resume vs. Job Application - What is the difference? You’ve spent hours writing your résumé — or may have invested hundreds of dollars hiring a professional résumé writer — and maybe even drafted a cover letter to accompany it. You now have all you need to apply for a job opportunity that caught your attention — or do you? At some point in the process, you’ll be required to complete a job application, which may seem redundant. After all, doesn’t the résumé cover everything the employer needs to know? An application is a legal document. Unlike a résumé, you are required to sign an application, confirming that all the information you included is accurate and that you have not omitted anything. An application becomes part of your permanent file once you are hired. Both state and federal employment laws require employers to retain employment applications for at least one year. At a minimum, an application requires you to provide information sufficient to demonstrate that you are legally permitted to be employed. Furthermore, an application enables an employer to request information you would not typically include on your résumé, such as contact information for immediate supervisors, reasons for leaving, or professional references. The employment application is not a standardized form, so every company may create its own as long as it adheres to regulations set by the government. ​That last point is quite complex, sparking debates about what are — and are not — lawful questions, and leaving jobseekers confused and anxious. Race, religion, gender, and national origin: Title VII of the Civil Rights Act of 1964 prohibits direct — as well as indirect — questions that allude to race, gender, and ethnicity. Inquiries into color of eyes/hair; whether the applicant is married, single, divorced, or separated; number and ages of dependent children; requiring a prefix (Mr., Mrs., Ms., or Mrs.); or questions about the observance of religious holidays are all unlawful. The anti-discrimination provision of the Immigration Reform and Control Act prohibits employers from discriminating against an applicant because he or she is not a U.S. citizen. The Form I-9, rather than an employment application, is the appropriate forum to determine an applicant’s citizenship status. Age: The Age Discrimination in Employment Act of 1967 protects employees 40 years of age and above. It is permissible to ask an applicant if he or she is under 18 and, if so, to state his or her age (to ensure the applicant meets minimum age requirements of the job and/or to ensure the employer does not accidentally violate state law regarding the employment of minors regarding hours worked or certain work responsibilities). However, it is unlawful to request a date of birth or include the specific question, “How old are you?” Unfortunately, one can roughly calculate an applicant’s age by asking when he or she graduated from high school. Disabilities and medical conditions: The Americans With Disabilities Act (ADA) of 1990 prohibits any inquiries about past or current health problems and medical conditions, disabilities, or on-the-job injuries. Even asking for the applicant’s height and weight is considered unlawful, as it may discriminate against certain demographic groups. As you can see, it’s been more than 25 years since any significant regulations were put in place to protect job applicants from discrimination. Other employment application practices that are still in place include inquiries about an applicant’s criminal history, credit standing, and salary history, all of which can negatively impact a jobseeker. Fortunately, there are grassroots initiatives taking hold, and new regulations being adopted at the federal, state, and municipal level all across the country. The Fair Credit Reporting Act (FRCA) is a federal law that governs how a credit reporting agency handles your credit information. It is designed to protect the integrity and privacy of your credit information. The FRCA permits employers to request credit reports on job applicants. A 2010 study from the Society of Human Resource Management (SHRM) estimated that 60 percent of companies checked some (or all) job applicants’ credit reports. Federal law permits employers to use credit history as a basis for denying employment and even rejecting any applicant who refuses a credit check. When applying for jobs, it is important to know your legal rights regarding credit checks. Obtain your written permission to request a credit report. The FCRA requires the notice to be “clear and conspicuous” and not mixed with other language. Read each application carefully and pay attention to what you are signing. Notify you before they take “adverse action” (in this case, failing to hire) based in whole or in part on any information in the credit report. Give you a copy of the credit report and a written summary of your rights. Provide you with an opportunity to dispute the information contained in the report (typically three to five business days) before making a final decision. Potential employers see a modified version of your credit report. Information that might violate equal employment regulations — such as birth year and marital status — is omitted, as is your credit score and account numbers. As of February 2013, eight states (California, Connecticut, Hawaii, Illinois, Maryland, Oregon, Vermont, and Washington) have passed legislation to restrict the use of credit checks in employment, and dozens of additional cities and states have introduced bills to do so. At the same time, however, these laws include numerous exemptions that allow certain employers to continue conducting credit checks — even when there is no evidence that credit history is relevant to job performance. Check your state’s labor department or your city government to find if you are covered by any applicable laws. The Equal Employment for All Act, introduced to Congress in 2013, would amend the FCRA to prohibit employers from considering credit reports in the hiring process, except for jobs that require a security clearance, are in the public sector, or are related to financial services. As of November 2018, that bill continues to languish in the House Financial Services Committee. Check your credit report before you begin applying for jobs. You are entitled to one free copy of your credit report every 12 months from each of the three nationwide credit reporting companies. Order online from annualcreditreport.com, the only authorized website for free credit reports, or call 1-877-322-8228. You will need to provide your name, address, social security number, and date of birth to verify your identity. Flag negative-yet-accurate information by contacting the credit bureau and asking to attach a 100-word explanation to your report of the extenuating circumstances that led to the negative situation. Give your permission, when requested, to access your credit report. Unless you live in one of the states mentioned (California, Connecticut, Hawaii, Illinois, Maryland, Oregon, Vermont, and Washington) and are in an exempt category, you have a greater shot of being shown the door if you refuse the employer access. Don’t panic. Even if your credit report contains some negative information, you’re not necessarily out of the running. Only 10 percent of employers reported on a SHRM survey that a clean credit history was the most important variable in deciding whether to hire someone, and 80 percent of companies still hired candidates with damaging information on their credit reports. As of 2014, nearly 90 percent of U.S. employers asked job applicants to reveal information on an employment application about their criminal histories — have they ever been arrested and/or been convicted of a crime — but the tides are turning. As the national movement to improve fairness in hiring grows, currently 36 states, the District of Columbia, and 150+ cities and counties have adopted “ban the box” laws, which mandate the removal of criminal history questions from employment applications. These laws help the estimated 33 percent of adults with a criminal past get a fair shot at finding work by delaying inquiries about arrests and convictions until after the employer considers the applicant’s qualifications and determines whether he or she is suited for the job. Currently, there is no federal “ban the box” law, with a bill to pass the Fair Chance to Compete for Jobs Act of 2017 stalled in Congress. Because of this, there is a lot of disparity and confusion about what laws/policies exist and where they apply. In some locations, these laws apply only to public government positions; elsewhere, they apply to both private and public employers. To further compound the issues, there is little consistency in stipulations for when background checks can be used in the applicant screening process, even in places where fair-chance laws are in place. For employers with a presence in multiple states, each location is responsible for complying with local laws, even if these conflict with the company’s existing hiring practices. Capitalizing on the “ban the box” movement, some state and local governments are adopting laws and regulations that prohibit employers from requesting salary history information from job applicants, as well as preventing asking the minimum salary an applicant is willing to accept. This growing trend is part of a push to fight wage discrimination and eliminate or reduce the gender pay gap. Four states (Delaware, Louisiana, New Jersey, and Oregon) as well as Puerto Rico led the way by enacting statewide bans for public employers in 2017, with California, Illinois, Kentucky, Massachusetts, Michigan, Missouri, Vermont, and Washington passing laws in 2018. Laws are set to go into effect in Connecticut and Hawaii in 2019. More than 20 states have proposed legislation prohibiting salary-related questions. In February 2017, Philadelphia became the first city in the country to ban private-sector employers from asking job applicants about their salary history. Under this law, employers can be penalized if they ask salary questions on applications and during interviews. In October 2017, New York City joined Philadelphia in banning public and private employers from asking an applicant’s pay history. Similar laws went into effect in San Francisco in July 2018. As privacy concerns grow and anti-discrimination issues continue to rise, employers and jobseekers are challenged to keep pace with changes in what information is lawful and unlawful to request during the application and screening process. Currently, employers are permitted to ask applicants in all states for their social security numbers; however, New York, Connecticut, and Massachusetts require employers to put safeguards — like encryption — into place for online applications to protect the privacy of jobseekers. Employers are encouraged to ask themselves what information is essential to screening and qualifying the best candidates. And jobseekers are challenged to ask themselves how much personal information they are willing to share to get the job. The answers are continually changing. What do recruiters look for? Recruiters are looking for candidates that are a close match to what an employer has outlined as the hiring requirements for the position. In essence, they are looking for square pegs for square holes. If your work history and accomplishments meets their current or future needs, they may add you to their database. Recruiters may contact you if they have a position that fits your profile — or they may make contact to ask you to recommend other people who might be interested in an opening they are recruiting for. ​There are many ways to connect with a recruiter. Sometimes, a recruiter will find you. This is particularly true if you have specialized, in-demand skills. If you post your résumé to an online job board, you are likely to receive contact from recruiters. Others may identify you through a professional association you’re a member of, or through mentions of your work that appear online (for example, blogs, articles, and publications). LinkedIn is also one of the most common ways to be “found” by a recruiter. Recent surveys indicate that 95% of recruiters use LinkedIn to identify candidates. You are more likely to be found on LinkedIn if you have a complete profile that is optimized with specific keywords and accomplishments. Recruiters are always looking for good candidates to add to their database. But you don’t need to wait to be found to work with a recruiter. Proactively making a connection with one or more recruiters can be a good strategy, even if you are not currently looking for a new position. LinkedIn can be an effective way for you to make a connection with a recruiter. Use the “People Search” function on LinkedIn to find recruiters in your field or specialty. Search the “Keywords” or “Title” field for recruiter and keywords and industries relevant for your field, like “engineering,” “manufacturing,” or “technology.” You can then narrow down the search by other criteria, like location. You can continue refining the results until you come up with a few names to contact. Google can also help you find recruiters. Search Google (http://www.google.com) using a search such as “IT Recruiter Las Vegas” or “Engineering Recruiter San Antonio.” You can also search Google and job boards for jobs posted by recruiters. If you find postings for positions similar to the one you’re interested in, you can contact the recruiter and present yourself for other opportunities. You can also use a résumé distribution research firm to identify targeted recruiters to contact. For example, Profile Research (http://www.profileresearch.com) can research and develop lists of recruiters that are looking for candidates with your qualifications and expertise. For a fee, they will identify the recruiters and distribute your résumé and cover letter to these individuals (either via e-mail or offline). You can use free and paid online directories to access recruiters as well. Custom Data Banks (https://www.customdatabanks.com/) maintains an online directory of recruiters. NPA (The Worldwide Recruiting Network) - Jobseekers can also search the online directory of The Worldwide Recruiting Network (http://www.npaworldwide.com/DIRECTORY/) to find member firms. ​The NPA website also has a job search to tool for jobseekers to view listings posted by recruiters within their network. Search the NPA Job Board by job title, keywords, and/or specialties (https://npaworldwide.com/for-job-seekers/ ). Often the best way to find a recruiter, however, is through a referral from someone you know. Talking with co-workers in your field to see who they have worked with is a great way to find a recruiter. If there’s a specific company you want to work for, you can also make a connection with someone in their human resources department and ask if there is a specific recruiter or recruiting firm they work with often. Learning proven networking strategies will always help you be more effective. Research your recruiter. See if he or she has been involved in any high-profile searches in your industry (these are sometimes profiled in industry publications). Google your recruiter’s name and see what job postings he or she has listed online. You are trusting your personal information and reputation to your recruiter, so trusting him or her is essential. 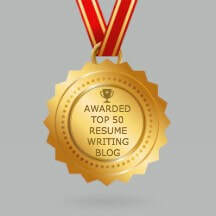 My experience in resume writing was built over time dating back to when I joined the staffing industry as a Recruiter. It has been three decades since that time. Today, my success stems from many years of professional resume writing as well as working with job-seekers and employers, all conducive to numerous successful interviews. As a Certified Resume Writer and Recruiter, I am an excellent resource for services pertaining to job search advice, resumes, cover letters, resignation letters, LinkedIn profile writing, career transition strategies, and much more. I have written countless job descriptions, posted employment ads online, leveraged applicant tracking systems, and interviewed job-seekers while serving as a direct liaison between jobseekers and employers.